A Wife at Risk - An Excerpt from "A Peerless Peer"
The wives of Spartiates had the responsibility for running their husband’s households and some estates were comparatively far from Sparta. As a result, women might be away from Sparta on their own for weeks or even months at a time. It was an independence unknown in the rest of the Greek world, and entailed freedom of movement and a high degree of control over their own lives. 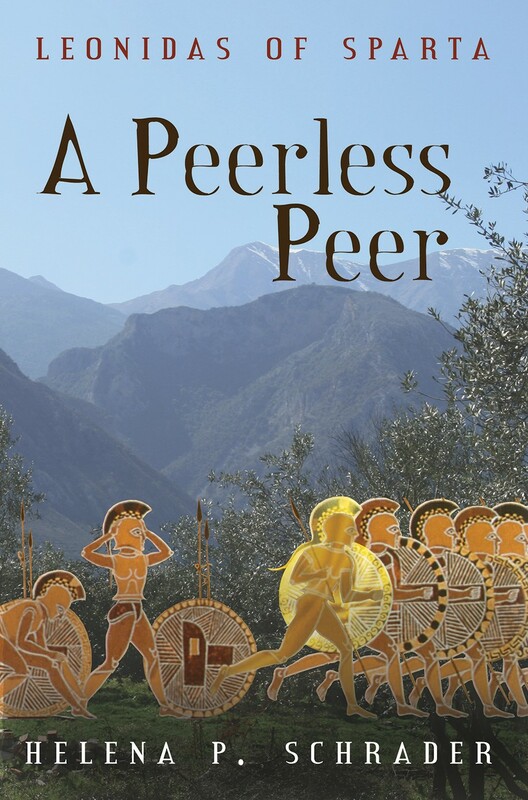 In this excerpt from “A Peerless Peer” Leonidas’ wife* is trapped on an estate threatened by wild-fires. The fires have spread across the west side of the Tygetos range and the Spartan army has been deployed (division by division) to try to fight the fires. “The wind’s backed around to the south,” someone exclaimed in alarm. Leonidas raised his head, unable—unwilling—to believe it. But staring at the fire, his eyes confirmed the report. The flames were blowing away from them. They struggled to their feet even before an order was given, their smoke-filled brains and exhausted bodies slowly grasping the significance of the shift. There was no danger that this firebreak would fail, but to the north there was nothing whatever to stop the fire. Orders were passed down the line to return down to the coastal road. They obeyed, still dazed and exhausted. The Amyclaeon Lochos had already moved out, heading north. They were ordered to follow at once. It was, however, impossible to see how dangerous the situation was, because smoke obscured the entire slope of the mountains. Just before daybreak they came upon a completely incinerated wagon, with the charred corpses of the horses still in the traces and the black lumps of former humans in the box of the wagon. The fire had swept over them with such intensity and speed that they had not even had time to disembark and run to the sea, only a hundred paces away. Everything was burned right down to the beach. The paving stones they were marching on were hot. Leonidas felt ill. Eirana and his children were on a farm in the line of the fire, and there was nothing he could do for them but pray. He prayed that the Amyclaeon Lochos had managed to get ahead of the line of fire and that someone had sent messengers warning the inhabitants to evacuate. When they finally caught up with the support train of the Amyclaeon Lochos and the ragtag collection of volunteer firemen from the surrounding countryside, they were informed that Arkines had been lost—everyone in the village had burned to death in their own homes or while trying to escape the conflagration. The firefighters were again trying to create a firebreak, this time about eight miles north of Arkines; but the speed of the fire was as fast as a man could walk, and the erratic wind sent it now northward, now westward in unpredictable gusts. Climbing up from the coast onto the slope, Leonidas and his men were gasping for breath long before they even reached the fighting line. On arrival, they found that at least half the men they were relieving had already collapsed, unable to stand any longer. No one spoke. The Amyclaeons dragged themselves off, and the Pitanates took over with a sense of desperation tinged with helplessness. They were exhausted and thirsty before they even started. If the wind didn’t veer again or let up, it was obvious that they would not be able to contain the fire here. Still, they tried. 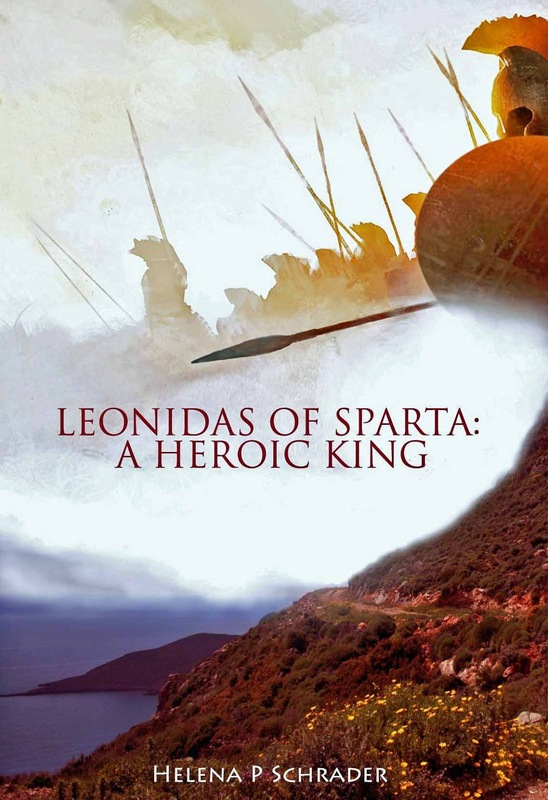 They widened and lengthened the firebreak for over three hours, and Leonidas was on the brink of thinking they would succeed, when a sudden gust of wind sent a flurry of burning twigs and branches over their heads. Trees exploded into flame more than a hundred yards behind them. The auxiliaries panicked instantly, flinging down their heavy tools and running straight down the slope in sheer terror. The orders for the Spartiates to pull out came almost at the same time, the salpinx wailing withdrawal and senior officers shouting and pointing furiously. They had to move fast to avoid being trapped. Already the flames were on three sides of them. The heat started to blister their skin. Leonidas didn’t know where they suddenly found the strength to jog out of the trap. Leonidas’ first duty was to his enomotia. Twenty-odd years of discipline kept him from losing his head. He had to get his men to safety, and every one of them needed water and rest. But mentally he envisaged the flames, which were now encircling the stretch of mountain on which his estate stood. No matter which way the wind blew, it was endangered. But surely Eirana had already left. For all he knew, she had left days ago. She might have returned to Laconia as soon as the fires broke out, he told himself. But another part of his brain whispered, “Why should she have done that while the wind blew from the north?” He wanted to think she would come “home” for safety as soon as any danger loomed; but the truth was, she didn’t seem to view him—much less his kleros—as home or safety. They collapsed on the shore of the sea, and Oliantus went in search of fresh water and food, while Leonidas went in search of someone who could tell him the evacuation status of the villages and farms on the endangered mountainside. The Amyclaeon lochagos didn’t have the foggiest idea of the status of the civilians, but the perioikoi head councilman of Kardamyle said that refugees had been passing through the village all night. He wasn’t sure where they had come from, but many had surely gotten through, heading along the coastal road, which was still open. Around him his men lay as if dead—sprawled on their backs, their sides, their stomachs, their arms and legs flung any which way. They were filthy, stinking, and done in. But the sun was blotted out by the smoke, and even the air around them was thick with heat and falling ash. Oliantus handed Leonidas a chunk of bread. He took a bite, started chewing, and then fell back and lost consciousness. Someone shook him awake. Nothing had changed. He might have been asleep for only a few moments—except that he was very stiff. The Mesoan Lochos had just arrived. The Argolid was also aflame, and the ephors had decided they no longer needed to defend the border. Kyranios had already taken overall command of the firefighting efforts. He ordered the two already exhausted lochagoi to get to work cutting a firebreak around Kardamyle itself, with its precious warehouses and port facilities, while he took his comparatively fresh lochos farther up the slope to protect the springs above Kardamyle. 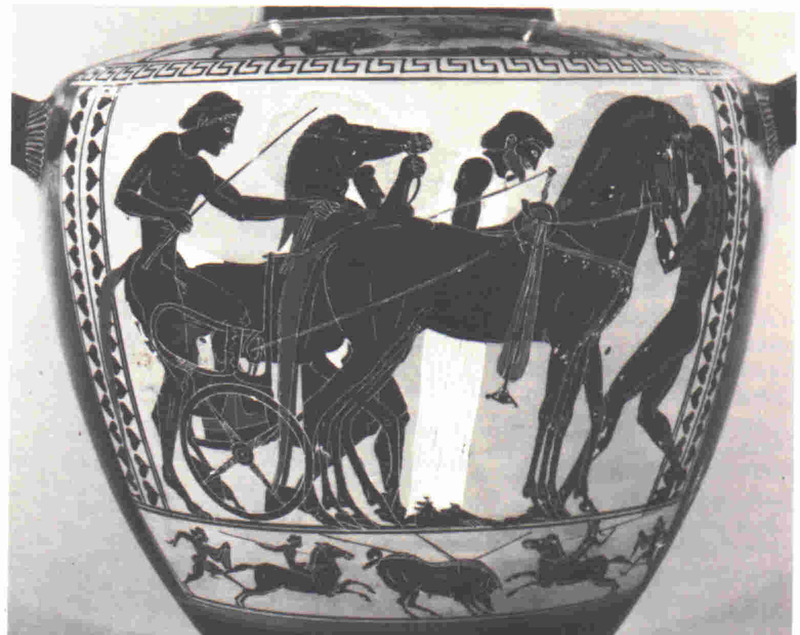 Leonidas just managed to speak to Kyranios before the lochagos set off with his men. “The last I knew, Eirana was on my farm up there,” he told his father-in-law. To his own ears, his strained voice betrayed his fears. They got to work on the firebreak. There wasn’t one of them without some injury, and their muscles were so stiff they couldn’t respond more than woodenly. At least they had relatively easy access to water here, and Oliantus had their attendants working in relays to bring them water every half-hour. He had organized bread, cheese, and sausage, too. Although the air was bad, the heat was more endurable, now that they weren’t working in the direct proximity of the flames. They stayed by the firebreak through the night, watching the flames slowly starve for lack of anything left to consume. The wind had died down, too, helping to stabilize the situation. At least here. The night sky was still marked by lurid light coming from other fires to the north and east. Weary beyond caring, Leonidas wondered who was fighting those fires. Then his watch was over and he fell asleep. Leonidas sat up. His whole enomotia was on their feet, already awake but doing nothing, just standing around looking strange. Apparently Oliantus had woken them, but not him. Oliantus’ ugly face was deformed even further by an expression of deep worry, while Mantiklos hovered beside him anxiously as if he’d been sick. And where did Alkander come from? He was with the Conouran Lochos. Were they back? Apparently. “Found who?” Leonidas still wasn’t fully awake. Then he remembered. “Eirana and the twins? Are they in Kardamyle?” He dragged himself to his feet, his aching muscles protesting painfully. They stared at one another. Leonidas wanted to deny it, say it couldn’t be true—but obviously they wouldn’t have sent Alkander otherwise. “I want to see them,” Leonidas told him. “No. Not really. It would be better if you didn’t,” Alkander told him honestly; but he did not expect to be heeded. 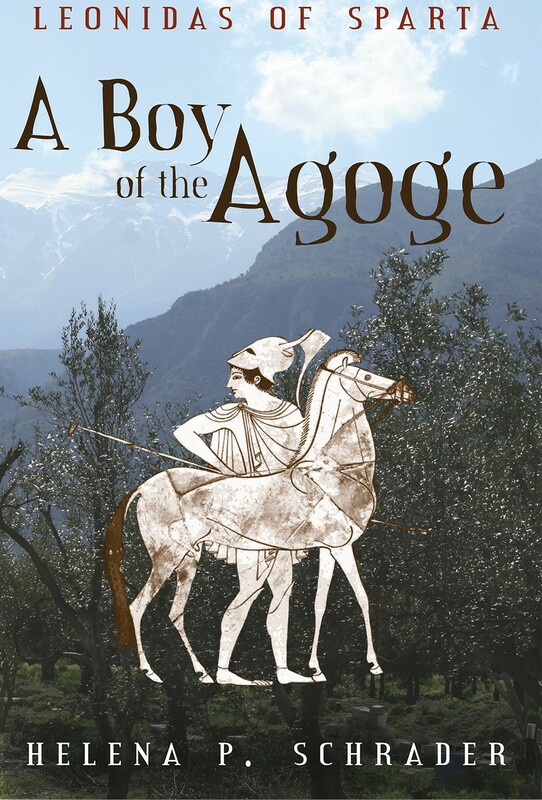 Leonidas roared at him that he had a right to see his wife and children, no matter what state they were in; and Alkander dutifully led him away with a last look at Oliantus, who nodded understanding. * Leonidas famously married his niece Gorgo, but Gorgo was much younger than Leonidas and they apparently married after Leonidas was more than 30 -- which was against Spartan law. 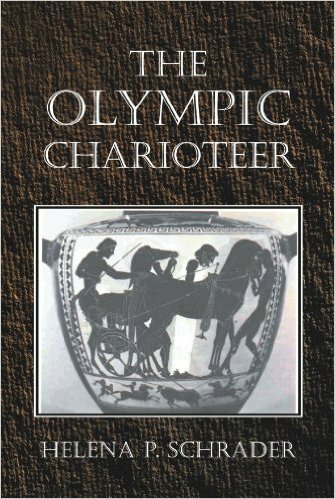 In my biographical novel I therefore hypothesized that Leonidas was married and widowed before his famous marriage to his niece Gorgo. 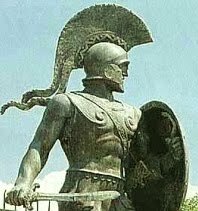 Sparta's power is usually attributed to the incomparable Spartan army -- and sometimes the factors that contributed to the creation of that army: Sparta's education system, it's unique constitution, it's laws, discipline and ethos. The importance of Spartan women is almost wholly overlooked. Yet the importance of women to any economy has been increasingly recognized and acknowledged over the last quarter century. Raising female literacy has become an important goal of international aid organizations, because no factor is more important in decreasing both infant mortality and birthrates than female literacy. Indeed, various studies demonstrate a strong inverse relationship between levels of female education and poverty. Female literacy is often used as measure of development when comparing nations and regions. More recently, development and aid programs have shifted their focus from grants to governments and male dominated organizations to micro-credits to women. When applied to Ancient Greece, of course, the modern approach appears fatally flawed. No one can seriously argue that Athens was “under-developed” or that it was poor – or can they? After all, based on factors such as literacy, infant mortality, and longevity not to mention per capita income and income distribution, Athens would certainly be rated an undeveloped or “less developed” country today! Yet by ancient measures of wealth, Athens was comparatively well off – even if, as Thucydides argued, the monuments it built with tribute money sent from its subject cities created the impression of a city twice as rich and powerful as it “really” was. On this point, however, I take issue with Thucydides: any city that can force other cities to pay for a monumental building program in a distant metropolis deserves to be seen as a great power. (EU take note! The Greeks ares still doing it!) Thucydides was, however, trying to make another point: that monuments alone do not constitute power – a point he underlined by saying later generations would underestimate Spartan power if they judged it on the basis of its monuments. It is when we look at Spartan power that we need to reconsider the importance of women. Sparta, like Athens, was a recognized power in the ancient world. From at least the 6th century to the early 4th century BC, it was one of Greece’s “leading” states. It had a large alliance system and eventually broke the back of Athens’ empire, to briefly dominate the Greek world. Based on the amount territory controlled, Lacedaemon had a strong economic base from which to develop its power. It had sufficient rainfall, fertile river valleys, and several natural harbors. It had natural resources, though neither gold nor silver, and it had timber for building ships, marble for monuments, and a benign climate. In short, it had all the objective criteria necessary for becoming a powerful state – except manpower. That is to say, if we consider only the Spartiates, then Lacedaemon reached its pinnacle of projected power (not necessarily its greatest moment!) 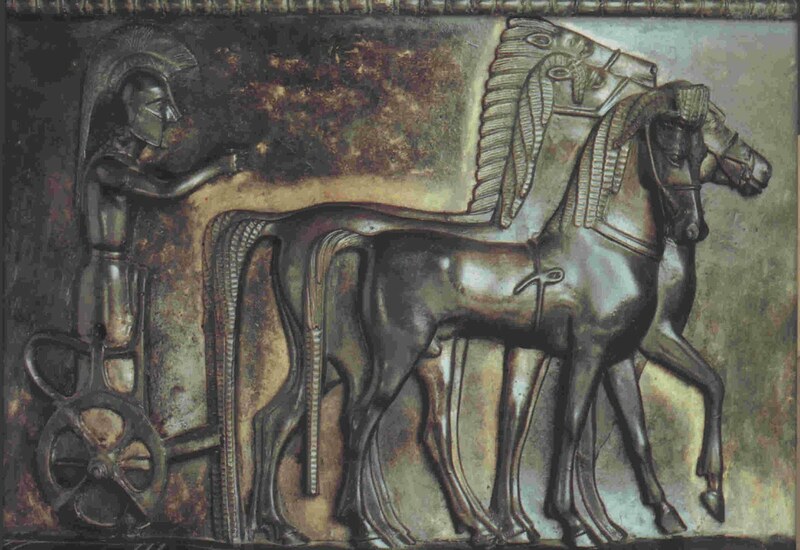 at a period of time when the Spartiate population was tiny – less than two thousand men. And if we accept the prevailing view that the Spartiates were unpopular oppressors of their own population and their allies, much less their enemies, then this is an even more remarkable achievement. 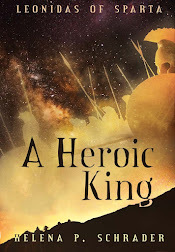 How could 2,000 men – regardless of how well drilled and physically fit – control a hostile domestic population more than ten times as strong, and all the allies in the Peloponnesian League – and then defeat a great empire like Athens? The ideal Athenian woman “knew as little as possible” and was neither seen nor heard. Her job was to go a virgin bride of 12 or 13 to the house of a citizen and then (despite being still a child) produce as many children as her husband wanted (but let him kill as many of her children as he wanted) until she died. Oh, and she was allowed to rule over the slaves and her husband’s concubines as long as she didn’t set foot outside the house, show her face even in the doorway, and never expressed an opinion on anything. Xenophon, a liberal strongly influenced by contact with Sparta, thought it was advantageous for women to learn to read and calculate a little so they could manage their husband’s household better, but the more common opinion was expressed by Meander that teaching women to read was like giving more poison to a horrible snake. As Aristotle makes clear, many leading Athenian men would have been much happier, if there had been no need for women at all. Women being the source of all evil, only a society without any women at all could be a real utopia. In Sparta, in contrast, women were from birth onward better treated than their sisters in Athens. They were fed the same food as their brothers, attended the public school, and engaged in sport so that they grew up strong and healthy. Most important, they were not forced into marriage when still immature, and so not subjected to the trauma of childbirth until they were 18 or older, something modern medicine considers vital to female health. In consequence, Spartan women would have been healthier throughout their lives and lived longer than Athenian women. This would have had the important and often overlooked consequence that there must have been many more grandmothers in Sparta than in Athens. This is more than anecdotally significant. Recent studies suggest that older, infertile females play a significant role in the survival of young in very primitive societies. We should not dismiss the notion that in Ancient Greece too they could have played a significant role in child-rearing and household management – if they were there. In fact, however, as there probably weren’t many grandmothers in most other Greek cities because girls married and died very young. Equally important is the fact that Spartan women were educated in the public agoge. We have no historical record of what they learned there and if you assume even Spartan males received little training in literacy, than neither did the girls. But the notion that Spartiates were largely illiterate or only marginally literate has been effectively debunked by various scholars (see particularly Ellen Millender, “Spartan Literacy Revisited, Classical Antiquity, Vol. 20 ) and it is more reasonable to assume that the girls, like their brothers, left the agoge with functional literacy and numeracy. This is where modern evidence from the developing world suggests that such women were much more competent in the economy than women who lacked literacy and numeracy. In short, Spartan women were in a position to actually conduct economic transactions for their husbands. Allegedly, Spartiate women dominated the agora (where bachelors were not supposed to be seen at all) and this again reinforces the image of women who were cable of conducting business. Could such economically savvy women have contributed to Sparta’s ability to project its power? Could, for example, Sparta afford to send harmosts, generals and admirals overseas because they had competent administrators in their women? Did female management of the Spartiate kleros and other estates ensure that Spartiates had the economic resources necessary to remain professional soldiers and provide administrators for an imperial power? Did Spartiate women not only manage kleros, but administer tax collection, customs and other economic functions inside Lacedaemon? Probably not, or Aristotle would have mentioned it. 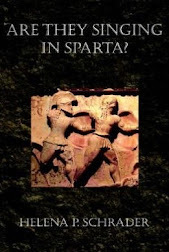 Nevertheless, in light of modern experience, we need to reassess the role of Sparta’s better educated, healthier and longer-living women and ask whether they didn’t contribute much more to Sparta’s power and status than just the soldiers they brought into the world in childbed.